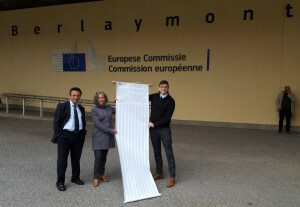 Right now, Campaign Director, Adam Macon, and Executive Director, Danna Smith, are in Europe delivering your SOS petitions, all 50,000 of them! 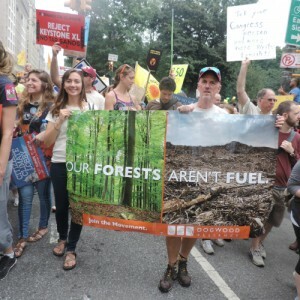 They’re also presenting new information against the woody biomass industry and standing up for the forests we love. 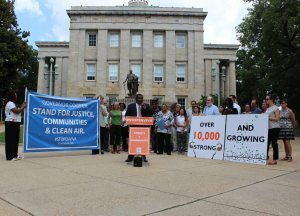 The diversity of people and backgrounds that mobilized on Sunday reiterated the message that the climate crisis is a global one that, while impacting some sooner and stronger than others, will eventually affect us all. 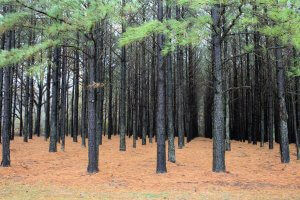 The variety of signs, ranging from calls for food justice to Dogwood’s own Our Forests Aren’t Fuel banner underscored the fact that environmental irresponsibility has devastating consequences for nearly every aspect of our lives. 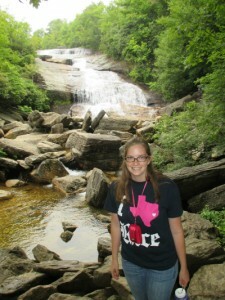 Working as the Communications Intern at Dogwood this summer has inspired me even more deeply to dedicate my career to environmental work and led my love of nature to grow even stronger – and I wouldn’t have thought that was possible!